We create a fully-targeted, customized and well-researched resume to properly showcase your growth patterns and aspirations. We NEVER use a template. ​Every coaching session is customized and industry-specific. Learn the "thought process" behind those tricky interview questions. Interview with confidence. We leverage our LinkedIn expertise to build your profile and showcase your talents and attract the right professionals on this prominent platform. FREE with purchase of any package deal, under ANY category. ​View samples here in MS Word, fully editable. FREE with purchase of any package C through E, under ANY category. ​A comprehensive 18-page guide (4110 words) providing advice to jobseekers on how to build a reputation on LinkedIn (step-by-step illustrated process with 28 screenshots). This is a comprehensive 18-page guide (4110 words) providing advice to jobseekers on how to build a reputation on LinkedIn (step-by-step illustrated process with 28 screenshots). You're at the right place. I am a former Senior Recruiter and one of Los Angeles' most sought-after executive resume writers—one of the first Certified Professional Resume Writers in Los Angeles—and I established Market-Connections to connect my clients as both jobseekers and employers, with cutting-edge career-related tools. In fact, I have partnered with executives, directors, managers, and other professionals for many years to help them secure their ideal positions and/or find the best available talent to fill open positions. I will do the same for you. We are proud of the praise we have received from our peers and clients alike. We invite you to read and browse through our testimonials. You will find an interactive list to browse through. You will connect directly with me as your Resume Writer. You will not have to talk to a third-party as a Phone Consultant who will then relay your information to a remote Resume Writer. You will connect with me, I will write your resume, and there is no third-party consulting system. I am a call or an email away. No need to go through online apps and dashboards to find me. Each resume is scanned through an Application Tracking System right here at our office, to ensure the right keywords are implemented not only for the human eye, but also for today's scanning robots. I am a competent Technical Writer, able to write well-researched content. With me, you gain the freedom to concentrate on your other important projects. No hand-holding while I write your resume. I go to great lengths to ensure each client's professional background is properly showcased on paper. You will receive your resume in both Word and PDF formats. Should you require, I will also offer an ACSII version at no additional charge, for online job boards. As a trusted Interview Coach, I am here to help my clients navigate through their job hunt obstacles and demystify the job search maze. I do not assign anyone to write your resume. 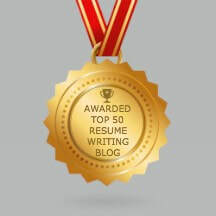 I write your resume myself, as your dedicated Certified Resume Writer. I give it the attention it deserves so that your documents won't blend in; they will stand out. Every precaution is taken to ensure each client is given a full and detailed report of explanation along with their resume package, to explain all the writing strategies implemented. Fixed fees are offered on all packages so you make a fully-informed decision as you process your payment online. If you have not been invited to interviews within 60 days after your resume delivery, we will re-write your resume at no charge or refund your money. Don't take chances when quality can't be compromised. Trust an accredited service. At Market-Connections every resume is custom-crafted from scratch, based on each client's career plans. As a Senior Recruiter, Branch Manager, and Employment Agency Owner, I have successfully placed an average of five job seekers on a monthly basis for over two decades. As an Executive Recruiter, I have trained many other recruiters over time on the best practices in helping job seekers secure new employment. I have personally worked on 4,000+ resumes over the years (RECORDS ON FILE) and I will take pride in writing yours. No two resumes have ever been the same; each is a new story. Mandy Fard is an expert at helping people write their resumes. Very professional and a great person! I can't find a job!!! How and where to "position yourself" to get that job? ​A new year is a great time to assess where you’re at professionally. Is it time for you to make a job change? Or a career change? This 21-day challenge is designed to help!